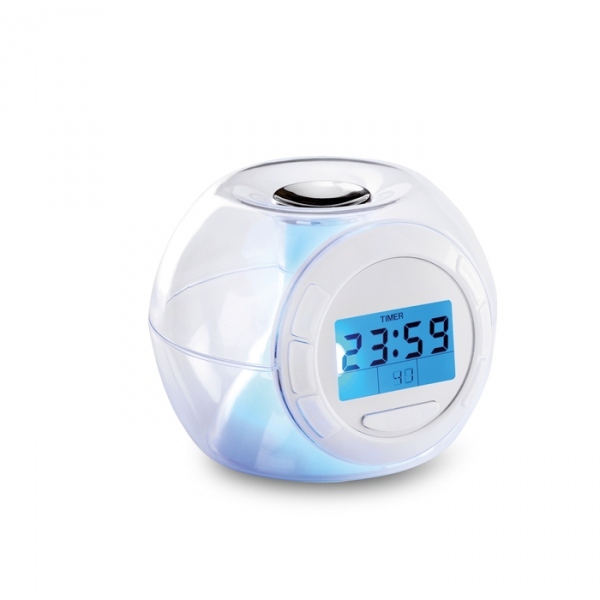 7 colour changing mood light alarm clock with 6 different natural sounds in transparent casing. 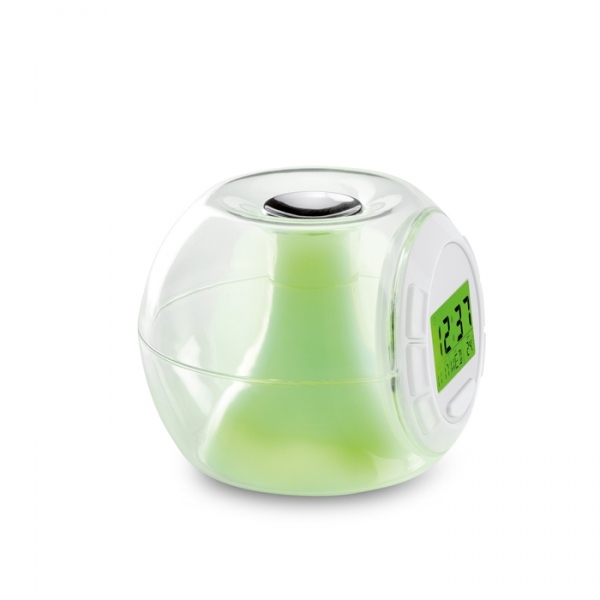 Functions include temperature (oC and oF), calendar, snooze mode and countdown timer. 3 AAA batteries not included.